Spirit Animal co-owner Anna Michal, manager Cassie LaRue, and co-owner James Robison. This 1923 Craftsman home is scheduled to be reborn as Spirit Animal in 2019. The old house at 2000 Forbes Street in Riverside’s Five Points district is undergoing a transformation. 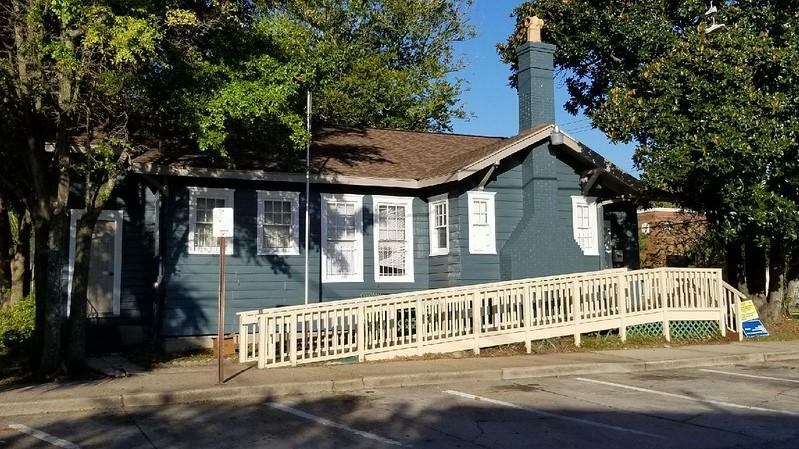 If all goes according to plan, in spring 2019, this 1923 Craftsman home turned shop will be reborn as Spirit Animal, an ambitious venue combining beer and wine bar, package store, and dessert eatery. This story is from The Jaxson, a partnership between WJCT and Modern Cities. 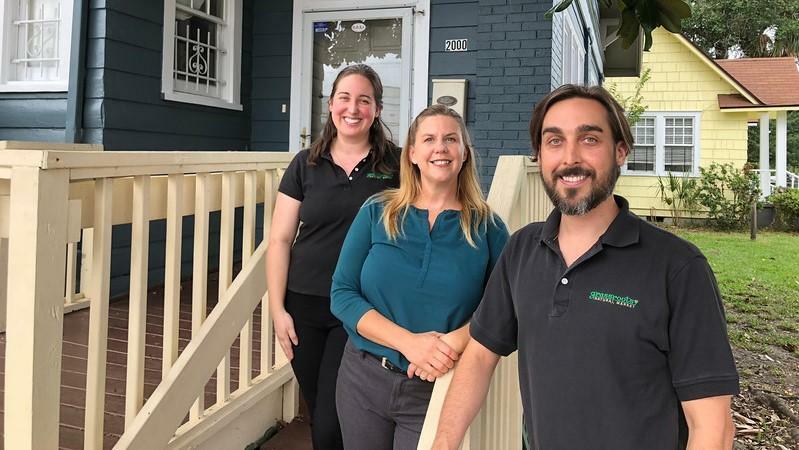 Spirit Animal’s owners are a trio of siblings with a long business history in the neighborhood: James Robison, Jack Robison, and Anna Michal. James and Jack opened neighborhood staple Grassroots Natural Market on Park Street in 2006, just after James graduated from the University of North Florida. Anna has worked at Grassroots as well, but Spirit Animal marks her first venture as a business owner. “It’s exciting. A little nerve wracking, but I’m excited to partner with them,” said Anna. The idea for Spirit Animal grew out of a business trip to Austin, Texas, where a storm fittingly trapped the Robisons on Rainey Street, a popular strip where historic Craftsman residences have been given second lives as bars. This got them thinking about the Forbes Street property - located just around the block from Grassroots - and the prospect of opening a bar together. The concept and name came from there. “We were thinking about what kind of bar would we three like? What kind of bar would be our spirit animal?” said James. When the building became available, they didn’t hesitate. The plan is ambitious. The owners plan to move Grassroots’ entire beer and wine selection over to Spirit Animal, which will also feature a bar with 30 craft beer taps and wine for in-house consumption. Growler fills will accompany bottles and cans for those who prefer their libations at home. The taps will allow for a wider selection than is currently available at Grassroots. “That’s one of the nice things,” said Jack. “Breweries may not bottle or can certain things, but sometimes you can get a really cool, funky beer on draft. It’s more of a specialty thing.” In contrast to Five Points’ many dinner destinations, the menu will focus on appetizers and deserts - in particular pie. “A menu driven largely by appetizers and pies, emphasizing local seasonal ingredients, will be a highlight of the whimsical Spirit Animal experience, and should pair nicely with a rotating selection of craft beers and wines,” said Anna. The developers hope to open Spirit Animal in spring 2019. You can read a longer version of this story and see additional photos at The Jaxson. Hear WJCT News Director Jessica Palombo discuss the event with the American Planning Association's Abby Weiss. This month, WJCT hosts the first-ever live event as part of our partnership with Modern Cities: The Jaxson. 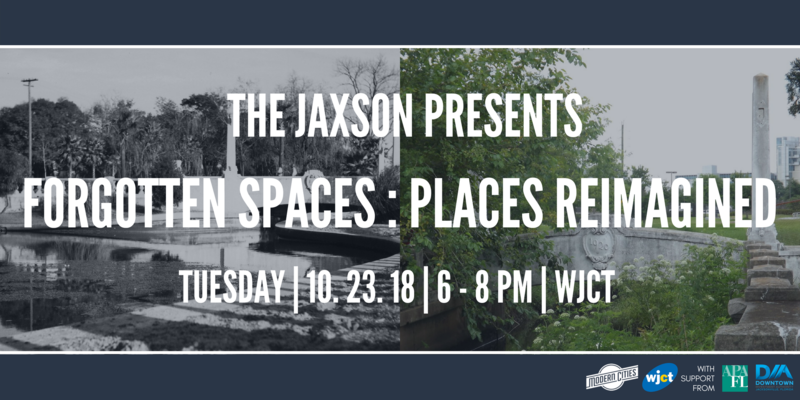 Forgotten Spaces: Places Reimagined is on October 23 at WJCT Studios. 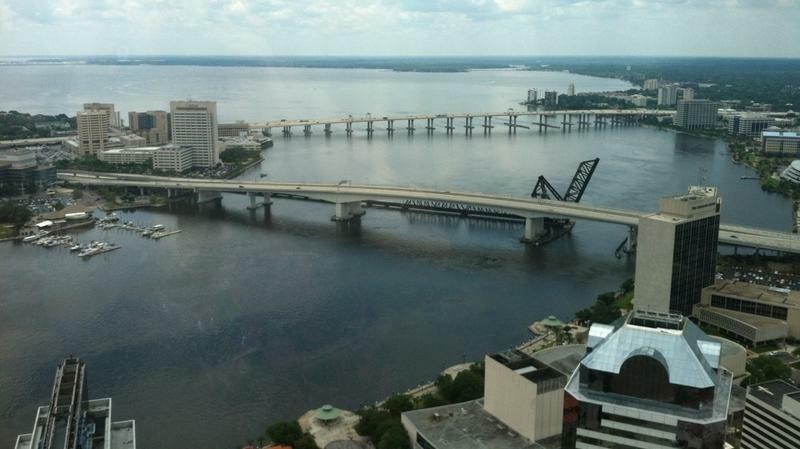 Jacksonville next month commemorates the 50th anniversary of its consolidated government. Combining the city with Duval County was a way to deal with a host of problems it was having in the late 1960s. As Bill Delaney tells WJCT News Director Jessica Palombo, other Florida cities took different approaches to the same problems, and they have fared worse in the long run. 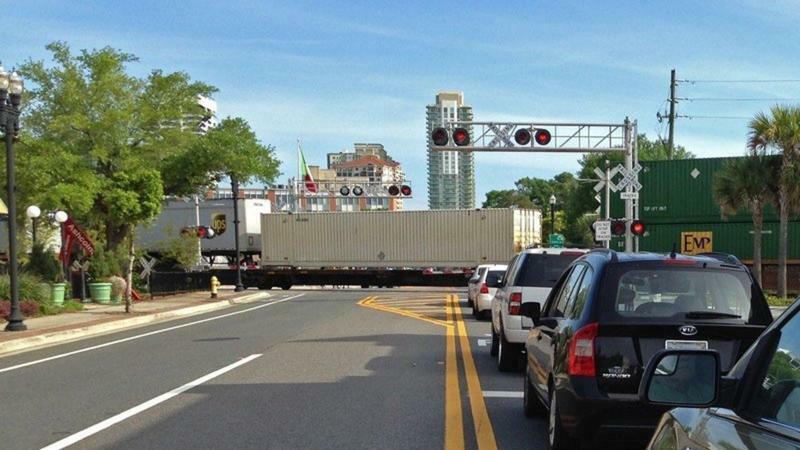 Though it has largely flown under the radar, the Jacksonville Transportation Authority and its partners have quietly launched an ambitious bid that could ultimately bring passenger rail back to Downtown Jacksonville and spark millions in development in the process.